Display your Kansas City Chiefs spirit in this KC Chiefs Red T-Shirt! 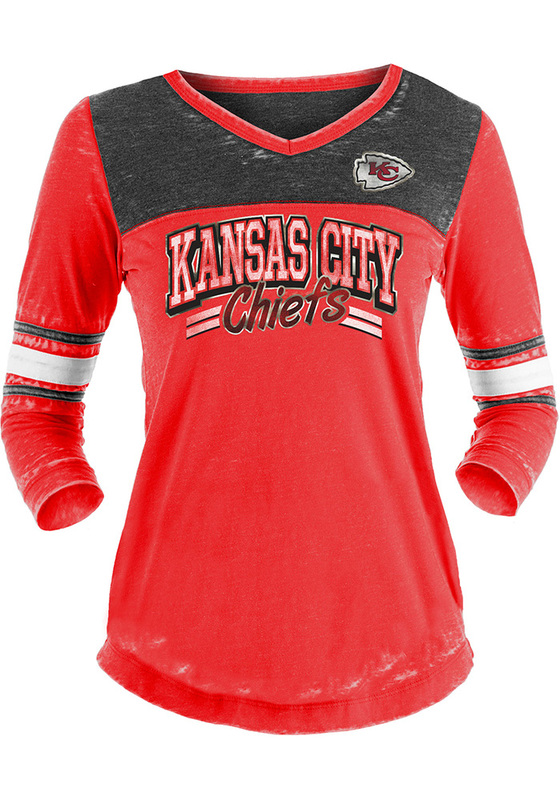 This KC Chiefs Washes Long Sleeve T-Shirt makes a great layer for cooler nights cheering on the Chiefs. Featuring a screen print team name on center chest and team logo on left chest with foil decoration, this Kansas City Chiefs Long Sleeve LS Tee is a must-have for any fan. Go Chiefs! Love this shirt! Super cute, comfortable and soft! Size is accurate! Would like to see more shirts out of this fabric! I usually wear a medium in T-shirts. 5'6" 150 lbs.